Every time MVP’s gather for MVP Community Connection, everyone votes for sessions with topics they want to know more about. For the second time Ståle’s session was voted up as one of five. 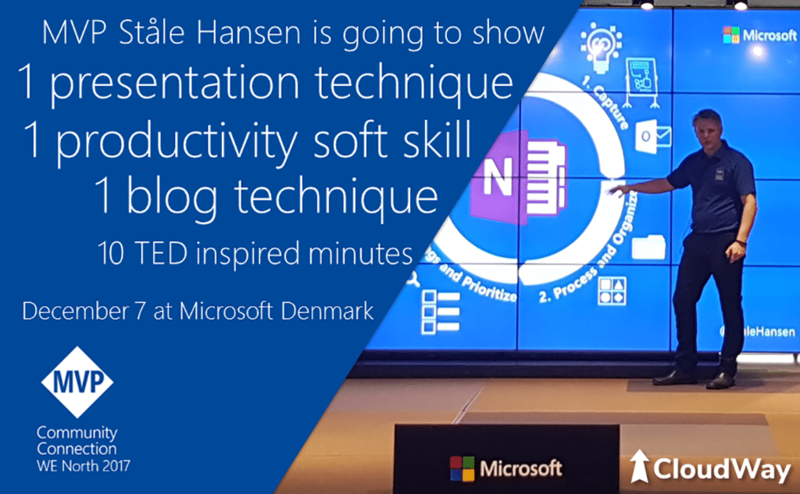 Last time, in Madrid in June, he did a 45 minute session on OneNote productivity that was published to YouTube and now has more than 85000 views! This time it is short 10 minutes TED inspired sessions and Ståle’s topic is: Softskills, presentation technique, blogg technique, productivity. The session will be recorded and hopefully published after the event.